Anbox is a Linux system emulation tool that allows you to run and execute android applications on your Linux system. Have you ever thought about running an Android app or a game on your Linux system? Android and Linux are close relatives, and there is no hard reason why it’s not worth imagining. A new promising project “Anbox” is on course to be a wonderful application for Linux users. Anbox is a Linux system emulation tool. It can act as a layer between Android apps and your Linux system that are purely coded. It allows you to run and execute android applications on your Linux system. Note that Anbox is not the first Android emulator for Linux. Projects like Shashlik or Genimobile too use an emulator to run Android. These emulators create a whole emulated system with its own kernel. On the other hand, Anbox runs the Android system under the same kernel as the host operating system. No emulation layer like QEMU is needed. All runs directly on hardware. It also allows for much better integration with the host operating system. Anbox places the Android OS in a container that summarizes hardware access and integrates core service systems into a Linux system. Like any other native application, each Android application is integrated with your operating system. In this tutorial, we will walk you through the Anbox installation and configure your Linux to run any Android application. Though it is not an easy task, we will try to make it simpler for you. In this section, we will add the PPA to your Linux system and install the essential and appropriate anbox-modules-dkms package, which contains the kernel modules. Add Anbox repository to your system. Now, let’s verify that new kernel modules have been installed successfully. The output of the previous command should look like the below screenshot. Now we will install the Anbox using the snap command. First, ensure that you have snap installed. Ubuntu 18.04 and above should come with snap installed by default. If not, you can install snap using our guide. Install Anbox. Note that since it is still in the development phase, we will download the beta version. After the installation completes the output successfully should look like below. 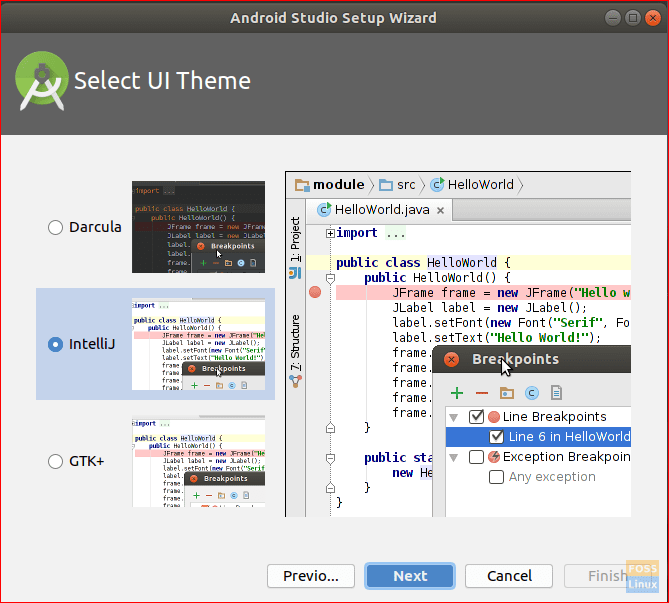 Since Anbox is an emulation tool for Android, you also need to install Android development tools to install apps on it. Begin with the installation of Java for Linux. After the download completes, you can go back to your terminal and extract the Android Studio. 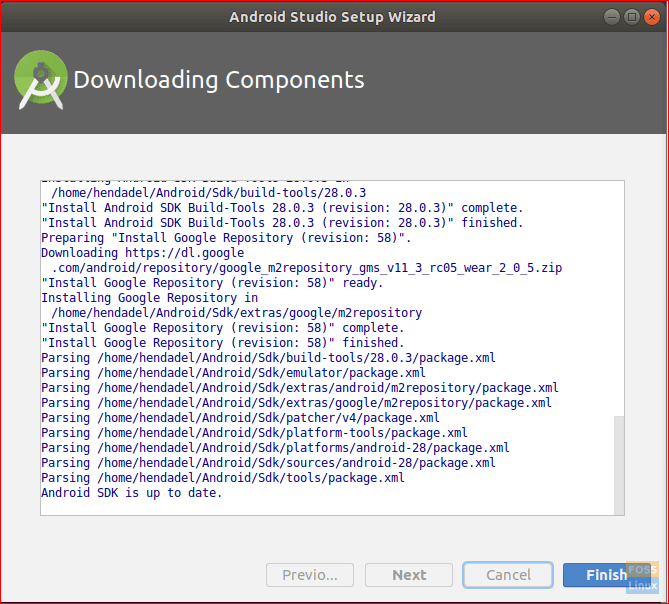 Now move to the Android Studio bin directory to start the installation process. 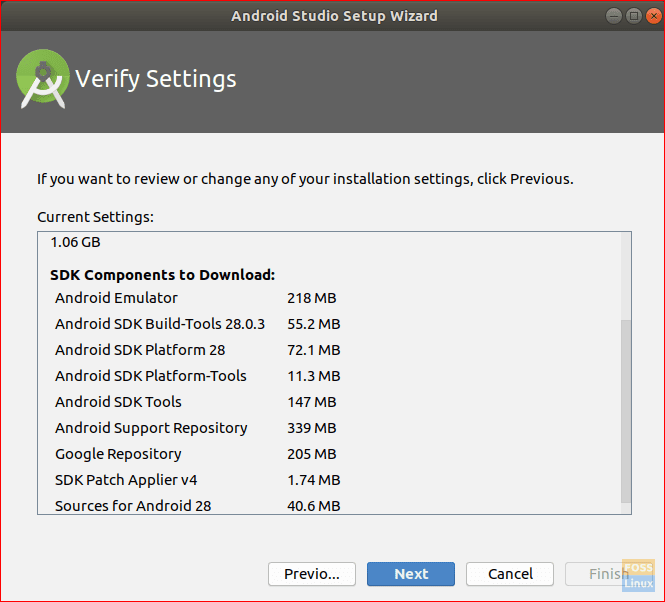 Run the Android Studio installation script. 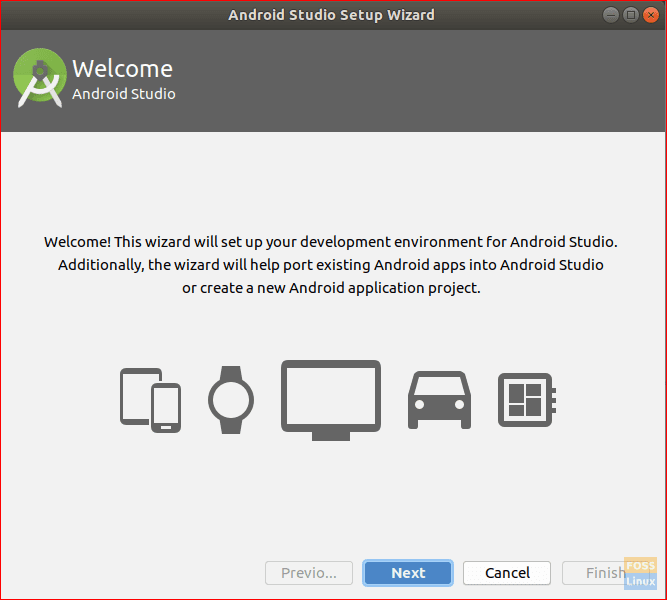 When the Android Studio Wizard starts, a welcome screen will appear like the below. Press next to continue. Choose the Standard option then press next to continue. Select your user interface theme as below. Verify your installation settings and press next to start the installation process. When the installation completes successfully you will get a summary screen as below. 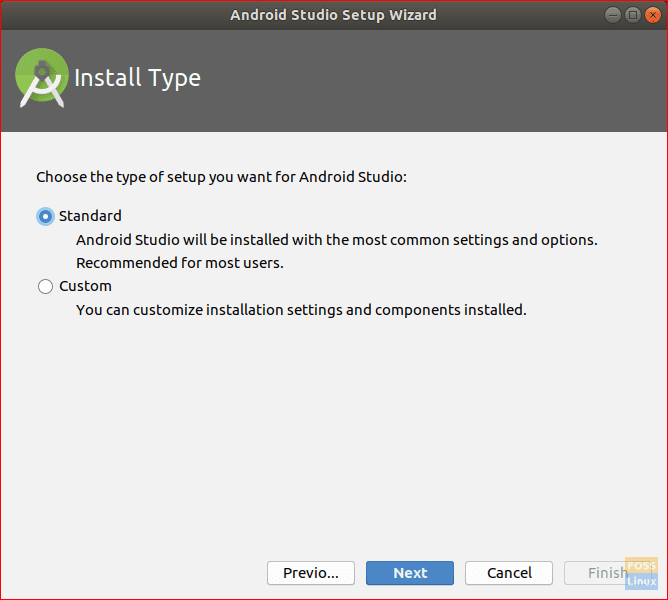 Now you can start a new Android Studio Project. 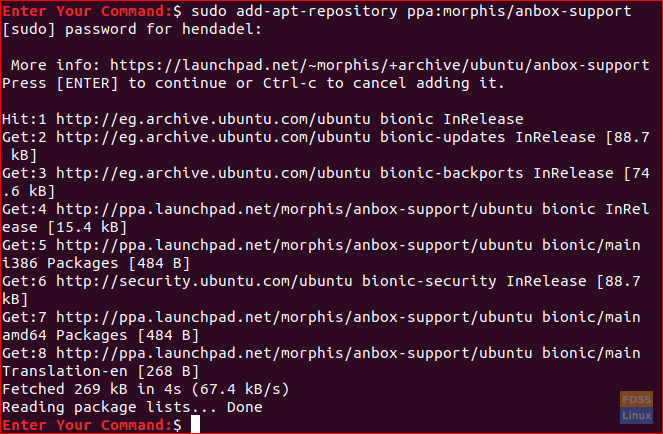 For now the Anbox is ready to go but first, you need to start up the ADB server. Start up the ADB server. For example, let’s search for a game to download. APK Mirror is a great resource to find downloadable Android games in APK format. Go to APK mirror to download your intended game. For now, note that not all the Android games will work correctly on Anbox. Also for better configurations, you need to install the x86 version from your game. After downloading your game APK. Go to the downloads directory. Install the game APK using the below command. Open the Anbox Application Manager from your applications. 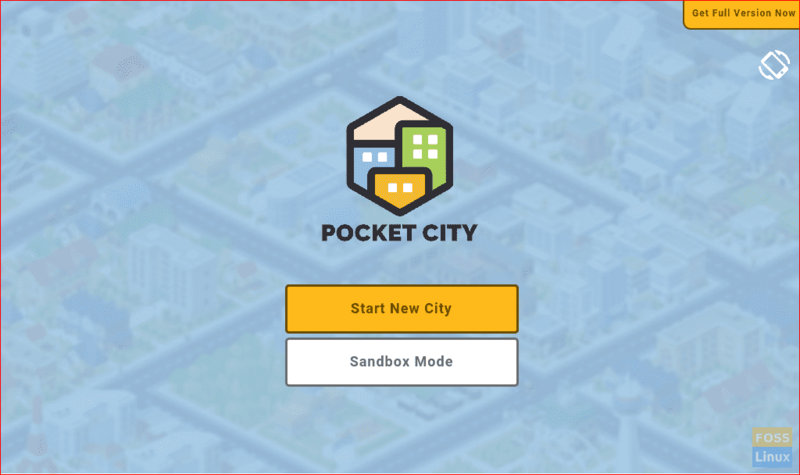 Step 11 – Launch your Android App or Game! Voila, you now have Android app on your Linux system! That’s all about configuring Anbox on your Linux system to run Android Apps. You can now enjoy playing your Android games on your Linux. Finally, I hope you have enjoyed this tutorial. Your feedback and questions are welcome. Thanks for leaving your valuable feedback. We see that the command line is good in the screenshot. We corrected the typo in the command-line.